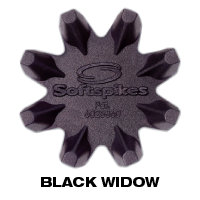 One of Softspikes’ defining moments was the launch of the BLACK WIDOW cleat in the late 90’s. 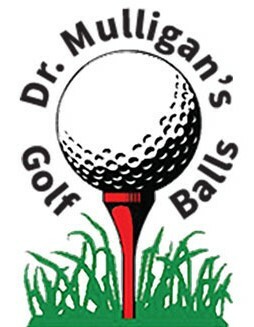 This product established the performance category in plastic cleats and introduced Dynamic Cleat Technology™ (DCT) to the golf industry. The dynamic movement of DCT gives BLACK WIDOW exceptional grip, and allows the cleat to flex on putting surfaces for unmatched green friendliness, while also providing best-in-class traction and comfort for golfers. 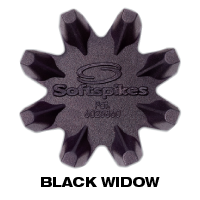 During the past decade, dozens of competitive plastic cleats have come and gone in the industry, but none have come close to achieving the popularity and success of Black Widow, both on a professional and an amateur level. In fact, BLACK WIDOW remains the #1 selling cleat in the World and one of the most popular cleats on the PGA TOUR, having amassed over 300 professional wins and dozens of Major Championships. Just how good is BLACK WIDOW? FootJoy, the #1 golf shoe company in the world, chose the Black Widow as original equipment on all of its golf shoes upon its introduction to the golf marketplace.